Yamachan Shoyu Ramen - oriental. Never seen or heard of the Yamachan brand before. It's made by Nippon Trends Food Service, Inc. in San Jose, California. 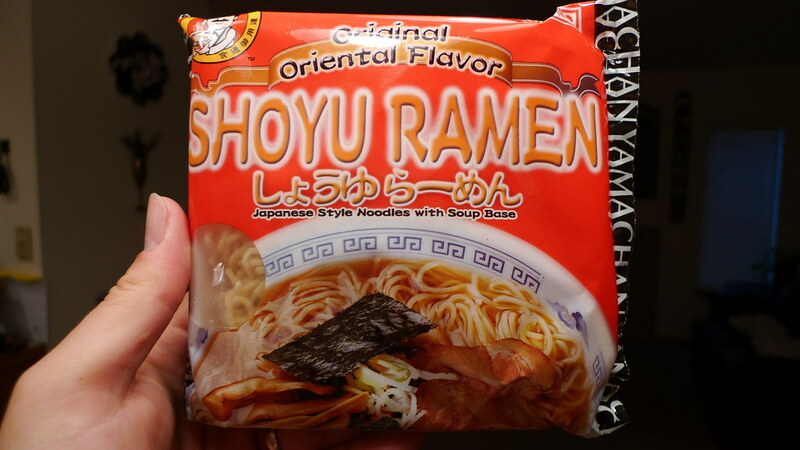 Great... a ramen product that's made in the U.S. Does it have any chance at all of being good? Quite possibly. Read on. As you can tell, I am weary about U.S. noodle products. 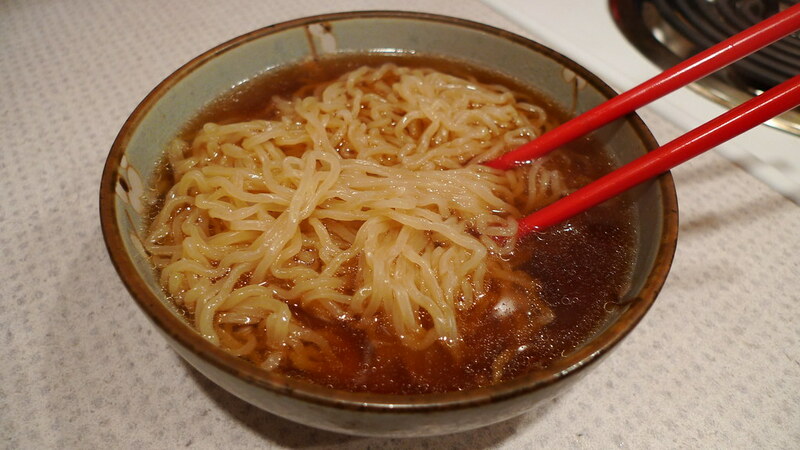 Having tried two Nissin USA products recently, I believe that I have every right to be hesitant. I found Yamachan in the refrigerated section of one of my favorite Asian supermarkets. The packaging is really cheap looking. I picked it up and knew immediately that it was an American product. The font style they used reminds me more of a middle eastern country than Japanese. Just noodles and soup base. Simple. 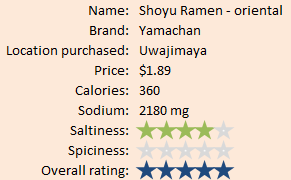 Yamachan's Shoyu Ramen contents are pretty simple: noodles and seasoning. 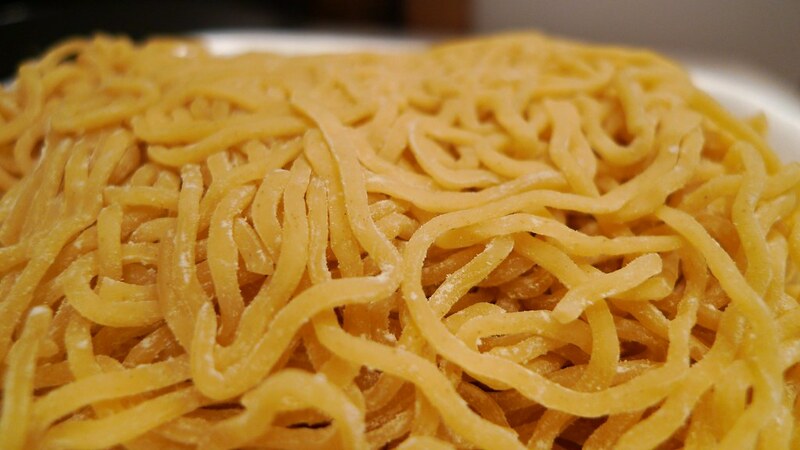 The noodles look fresh and still have flour on them to keep them from sticking together. They are slender and have a yellowish tint to them. 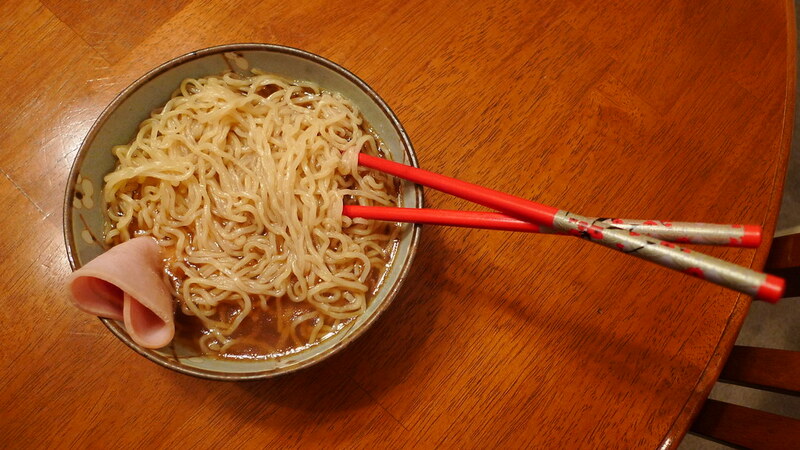 They remind me a little of Hawaii's Original Saimin, except a lot thinner. The seasoning is actually a wet mix. 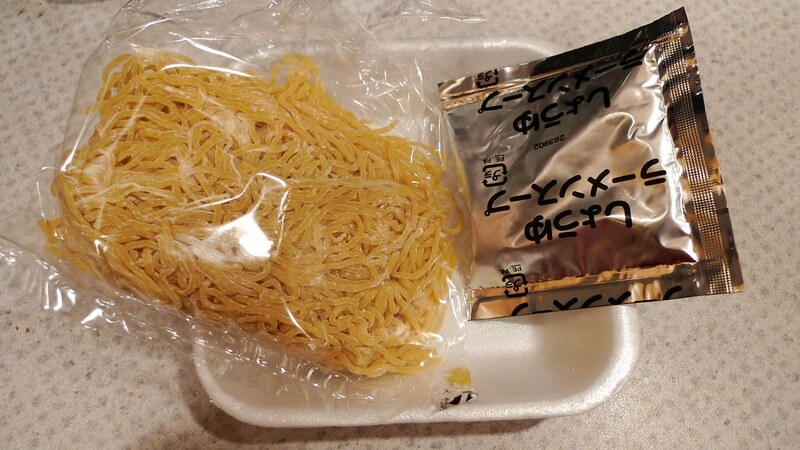 You are instructed to cook the noodles and soup base separately. 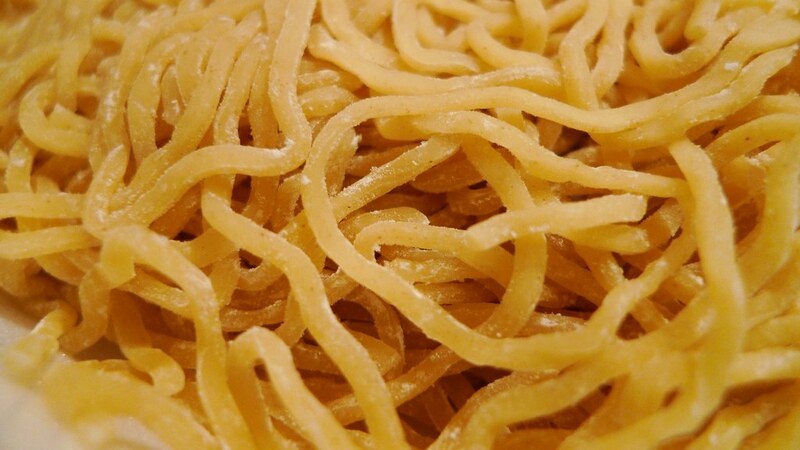 The noodles are boiled for 1 1/2 minutes (or 2 1/2 if frozen) in any amount of water, and then drained. 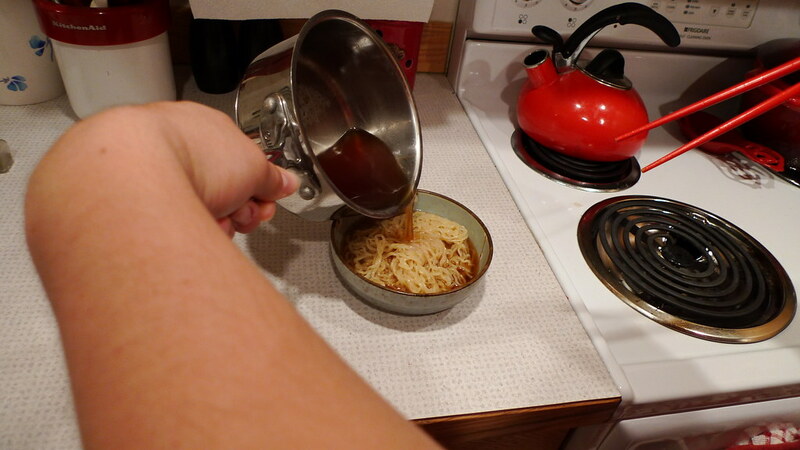 Then you add the soup base packet to 1 1/4 cups of boiling water. Put the two together in the bowl and you are ready to eat. The ramen noodles in Yamachan's Shoyu Ramen. The noodles are actually quite good. They have a very satisfying chew to them and are a bit eggy. They do tend to clump up together if you let it sit too long, but if you keep stirring well, it should be alright. The soup looked like it might be too strong, but it's actually perfect. It's practically restaurant quality and has great ingredients. Check it out: water, soy sauce, salt, vegetable oil, sugar, pork and chicken extract, yeast extract, kelp extract, starch, and malt extract. No MSG in this one. I don't taste much of the chicken, but I do taste a bit of the pork. The soy sauce is obviously the most prominent since shoyu = soy sauce. Still, I don't think it's overpowering. People who may not like soy sauce could still enjoy this. Ready to eat some Yamachan Shoyu Ramen! Added the lunch meat myself. Itadakimasu! Juliana tried this and seemed to like it. 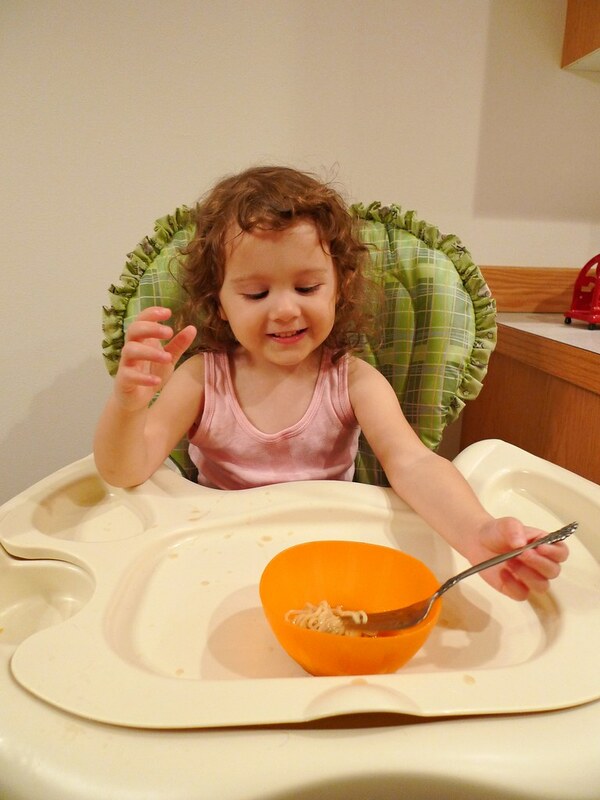 However, I have seen her more excited about other noodles before this one. I, for one, think I've found a new instant noodle that I will be eating regularly. The only two problems are the sticky noodles and the small portion size. But, you know what? I added some lunch meat to it and it filled me up enough. You could probably add even more of the typical stuff you'd find in a shoyu ramen like pork, ham, nori, bamboo shoots, and scallions. I highly recommend this one! It's ramen like this that makes me love what I'm doing.